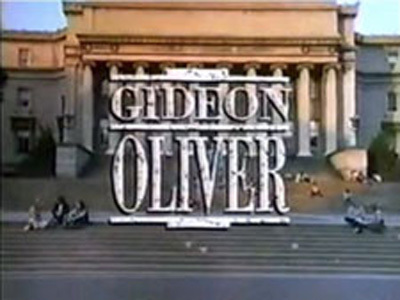 Gideon Oliver: A Telemystery Series. One of the weekly rotating ABC Mystery Movies, Gideon Oliver stars Louis Gossett, Jr. as the titular character, an anthrolopology professor at Columbia University who solves crimes using his knowledge of past cultures. Based on a character created by crime novelist Aaron Elkins, the series aired just five episodes. Original US air dates: 02/20/1989 to 05/22/1989.